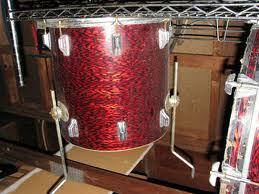 Vintage original SRC set of rogers drums "holiday" 4pcs Kit RARE. 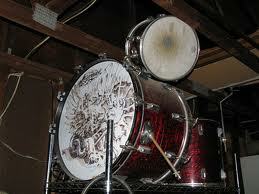 Click the link below to check out EG's Kit.... They were sold in October...very cool photos to archive. Hi Kim, here's some news from the Planet of The Howling Diablo's. Hubert Sumlin (November 16, 1931 – December 4, 2011) was an American Chicago blues and electric blues guitarist and singer. He was best known for his celebrated work, from 1955, as guitarist in Howlin' Wolf's band. His singular playing was characterized by "wrenched, shattering bursts of notes, sudden cliff-hanger silences and daring rhythmic suspensions". Sumlin was listed as number 43 in the Rolling Stone 100 Greatest Guitarists of All Time. Sumlin favored a Louis Electric Model HS M12 amplifier and a 1955 Gibson Les Paul Goldtop guitar. 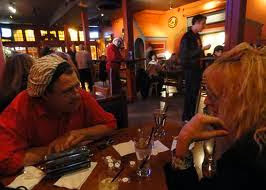 Janis Joplin performed another of Tate's songs, "Get It While You Can", (on Pearl) during this time. Tate's reputation among critics was high. As Robert Christgau wrote in his review of Tate's Verve material, "Tate is a blues-drenched Macon native who had the desire to head north and sounds it every time he gooses a lament with one of the trademark keens that signify the escape he never achieved. Dobie Gray (July 26, 1940 – December 6, 2011) was an American singer and songwriter, whose musical career spanned soul, country, pop and musical theater. 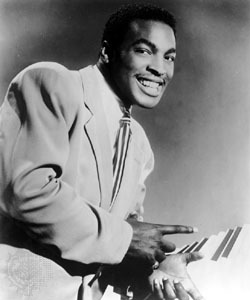 His hit records included "The 'In' Crowd" in 1965, and "Drift Away", which was one of the biggest hits of 1973, sold over one million copies, and remains a staple of radio airplay. Well the tale goes like this... I was asked to bring a musical group to the Louder Than Love show. 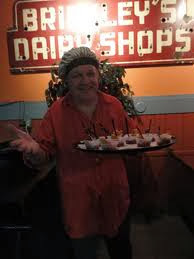 I had been working with the Dead City Prophets but due prior commitments some of the members would not be available well I found that out a few days before the show. I had to scramble to get in the Rolodex and call some of my old pal's to give me a hand and find my partners Steve Dansby and Rob King who have always been rock solid and they were up for it . I knew that with these guys I could pull it off . We got together for about an hour or two before the live show and because of there outrageous talent and that over the years we had jammed together all the drama would be put aside and just a kick out the jams attitude would be the order of the day . As the video shows with just a couple of hours rehearsal we were able to put together a 3 piece band on a stage and rock the house these are some solid cats and cant thank them enough for showing up and backing me . 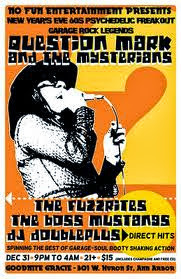 The name of the band comes from a title of an old blues song about two old junkies that were knock down loaded Steve and I played the song with the lead singer from the Cactus band Rusty Day a long time musical influence and rough and tough Detroiter. In closing I have to say Keith may have his x-pensive Winos but i got my Junko Partners and that's good enough for me. Hitting Billboard’s Hot 100 chart in December 1961, the tune Brown co-wrote with Gene Redd peaked at position #76. 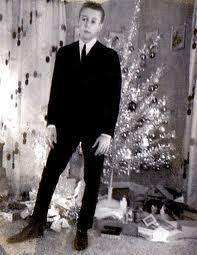 It appeared on the Christmas Singles chart for nine seasons, hitting #1 in 1972. It includes a number of characteristics of Christmas music, such as multiple references in the lyrics to the Christmas season and Christmas traditions, and the use of a Church bell type sound, created using a piano, at the start of the song. It is sometimes referred to as Bells Will Be Ringing. In 1978, the Eagles covered and released the song as a single. Their version of the song peaked at #18 on the U.S. Billboard Hot 100 charts. 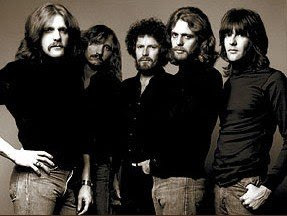 The lineup features Don Henley (drums/vocals), Glenn Frey (piano, backing vocals), Joe Walsh (guitar, backing vocals), Timothy B. Schmidt (bass/backing vocals), and Don Felder (lead guitar). 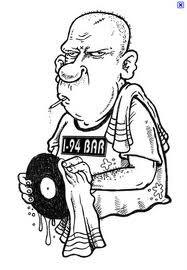 Originally released as a vinyl 7" single, it was re-released in the nineties as a CD-single. 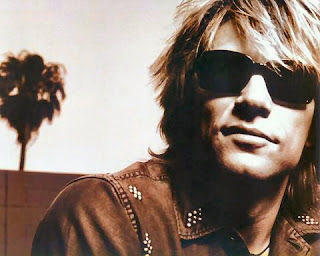 "Please Come Home for Christmas" was also a 1992 cover version by Jon Bon Jovi that was released on the 1992 holiday album, A Very Special Christmas 2. A promo music video that featured supermodel Cindy Crawford was made to accompany that release. In 1994 the same recording was released as a charity single in Europe, but this time instead of being credited as a solo recording by Jon Bon Jovi it was released under the band name Bon Jovi. The 1994 single release made the Top Ten in both UK and Ireland. SCOTT MORGAN'S CHRISTMAS VIDEO PICKS! Here's what's new at the Detroiter over the past few days. 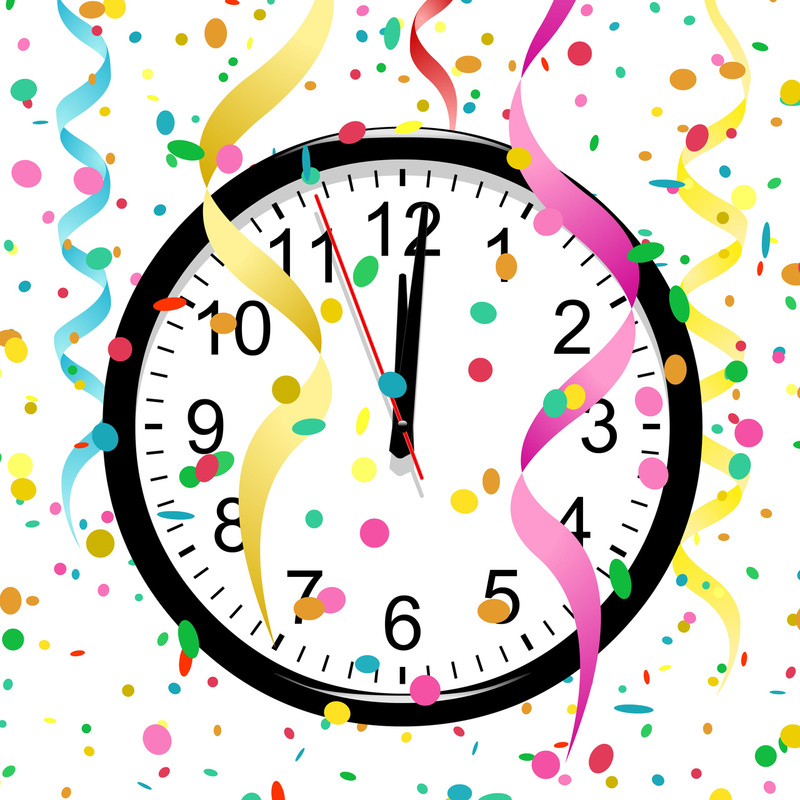 Starting next Thursday, December 22, this Newsletter will broadcast on Thursdays instead of Sundays in an effort to get our subscribers enough lead time before certain weekend events. Your comments and feedback are always welcome. 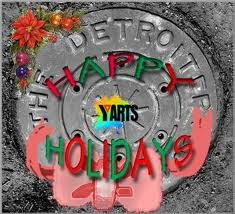 Happy Holidays from TheDetroiter.com! As we go into this long holiday weekend, we reflect on this past year and our hopes for TheDetroiter.com. We have hit some of our goals, and there has been a lot of momentum and energy behind TheDetroiter to see it grow and better serve the creative community. As always, we need your help! IN THE GALLERIES music Drop-in Workshops Help Us Reach Our Goal free student field trips The Visitation, Rembrandt van Rijn, 1640, oil on cedar panel. Detroit has abandoned buildings. How is that for an obvious and empty phrase? There are bad drivers on I-75, Detroit used to have a lot more people, and you were a jerk in high school. While these statements may be true, who cares? Everyone knows that these statements are true, so bringing them up in a conversation makes you dull. Detroit indie rock bank Dale Earnhardt Jr. Jr., keeps making headlines — and they will be on Conan next month! @seekandwonderin Marty Singer–http://pinterest.com/pin/260505159665361302/ Detroit Institute of Arts is a wonderful place to get lost in art and beauty. Rembrandt exhibit is stunning. DIADetroit Detroit Inst of Arts –Thanks to @Target, 8000 students can look forward to a DIA field trip next year! 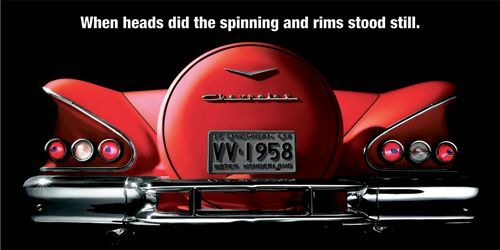 Apply by Jan. 13, 2012. 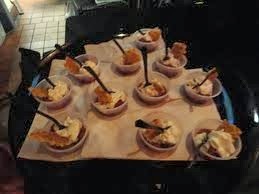 VIDEO PICKS FROM THE I-94 BARMAN! This is from Sonny’s “The Good, the Bad, the Ugly” album, the star-studded 2003 effort that should have crossed him over from punk cult figure to high-profile rocker. 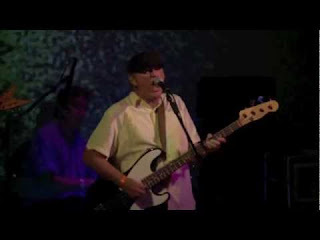 Sonny’s a product of the Lower East Side scene whose collaborators have included everyone from Scott Morgan and Scott Asheton to Mo Tucker, Wayne Kramer, Captain Sensible and Cheetah Chrome. The clip’s OK but the song’s better. Sonny’s a top bloke and I was stoked to meet and see him live on a trip to Chicago in 2004, where a few beers were consumed. 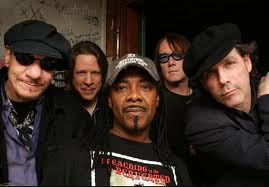 The Screaming Tribesmen were the pre-eminent Australian underground band from the 1980s who cracked it for a contract with Ryko in the US and an American tour. Their single “I Got A Feeling” topped the KROQ charts in LA in 1988 and “Ice” is from the same “Bones and Flowers” album. This clip is from some Swedish movie and works perfectly. There were many line-ups of the Tribesmen but the most popular and enduring is the one that played on this song. I followed them for years in Sydney and recently managed them on a short Australian reunion tour. There are bands and there’s Radio Birdman. They stood like the Colossus of Rhodes over the Australian music scene in the ‘80s, well after their original 1978 break-up. This is from their second show at a place called Paddington Town Hall in Sydney. Support on the night came from the Saints, another legendary group. You can deduce from this that their following was fanatical and it perfectly conveys their energy. The Drifters' 1954 cover of "White Christmas" showcased the talents of lead singer Clyde McPhatter and the bass of Bill Pinkney. Their recording of the song peaked at #2 on Billboard's R&B chart in December 1954, and returned to the same chart in the next two years. In December 1955, "White Christmas" became the Drifters' first of 34 singles to register in the mainstream Hot 100 chart. 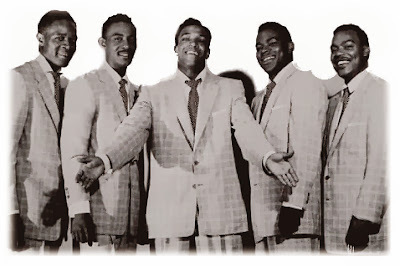 For decades, the Drifters' version was primarily heard on R & B radio stations, getting little exposure elsewhere. The song received a boost in the early 1990s, when it was prominently featured in the film Home Alone during a scene in which the lead character Kevin is applying his father's aftershave while mouthing the lyrics. Radio stations formats as diverse as oldies, adult contemporary, Top 40, and country began playing the Drifters' version. The song was later featured in the film The Santa Clause. Vince Guaraldi's smooth trio compositions -- piano, bass and drums -- perfectly balanced Charlie Brown's kid-sized universe. Sprightly, puckish, and just as swiftly somber and poignant, these gentle jazz riffs established musical trademarks which, to this day, still prompt smiles of recognition. They reflected the whimsical personality of a man affectionately known as a "pixie", an image Guaraldi did not discourage. He'd wear funny hats, wild mustaches, and display hairstyles from buzzed crew cuts to rock-star shags. 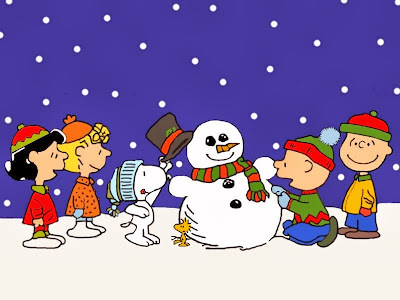 "A Charlie Brown Christmas" debuted in December 1965, it did more than reunite Schulz, Mendelson, Melendez and Guaraldi, all of whom quickly turned the Peanuts franchise into a television institution. That first special also shot Guaraldi to greater fame, and he became welded to all subsequent Peanuts shows. Many of his earliest Peanuts tunes -- "Linus and Lucy", "Red Baron" and "Great Pumpkin Waltz", among others -- became signature themes that turned up in later specials. Sadly, Guaraldi died at age 47 on February 6, 1976. The evening before, he had dined at Peanuts producer Lee Mendelson's home, and was reportedly not feeling well, complaining of indigestion-like chest discomfort that his doctor had told him was nothing to worry about. The following evening, after concluding the first set at Butterfield's Nightclub in Menlo Park, California with his rousing interpretation of "Eleanor Rigby," Guaraldi and drummer Jim Zimmerman returned to the room they were staying in that weekend at the adjacent Red Cottage Inn, to relax before the next set. Zimmerman commented, "He (Vince) was walking across the room and just collapsed. That was it." His cause of death has been variously described as a heart attack or an aortic aneurysm. 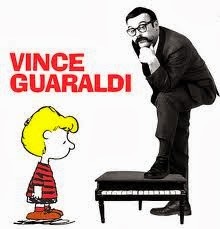 Guaraldi had just finished recording the soundtrack for It's Arbor Day, Charlie Brown earlier that afternoon. VIDEOS PICKS FROM PATTI QUATRO! I have to say my top video I feel changed the face of music videos for all time......the brilliance of Thriller....Michael's video..........nothing was the same after that one. The choreography the feel of it........everything....brilliant and had never been seen before....nothin like it. Have to get some gals in there......absolutely loved Vogue by Madonna.....thought she had her finger on the pulse and always one step ahead......which I appreciate in production values of videos. Also loved Bowie's videos.......another one ahead of game......that is what draws me.....production values.......really making it something unusual......a visual treat plus an awesome song. Queen, Bohemian Rhapsody.........for it's up close and personal balanced brilliantly with great production that brings this masterpiece to life. 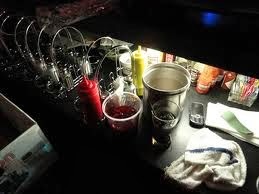 Another amazing produced one (radical) was Marilyn Manson's Sweet Dreams.......very radical......but genius. And for Christmas...Ave Maria at top of Nancy (Quatro) and my lists.......just the essence of xmas to us. Merry Christmas Miss Patti and thank you so much!! 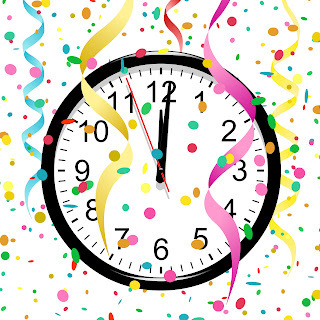 NEW YEAR'S EVE WITH THE DETROIT COBRAS AND JOHNNY BEE BADANJEK!! What a hot gig for New Year's Eve! 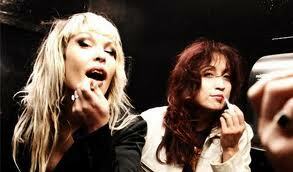 Kimmer loves the Cobras and I hope to be there shooting this show. 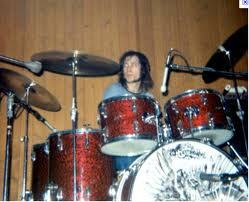 Also on hand will be Detroit Wheel's legendary drummer Johnny Bee Badanjek! New Year's Eve just got a little hotter with the news that THE DETROIT COBRAS will have none other than legendary drummer JOHNNY "BEE" BADANJEK providing a soul burnin' backbeat for the Cobra's NYE return to THE MAGIC STICK in Detroit. A master of Motor City drive, Badanjek was a founding member of garage R&B icons Mitch Ryder & the Detroit Wheels. He later co-founded the Rockets, and his big beat has accompanied a host of artists of national, international and interstellar stature. 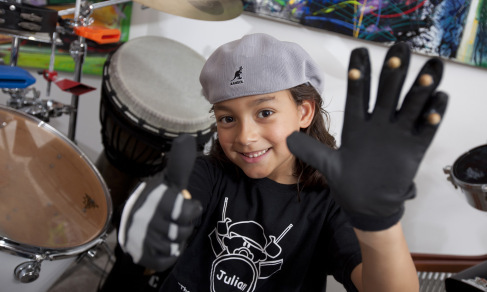 MACOMB (WWJ) - Guinness World Record Holder Julian Pavone, “The World’s Youngest Professional Drummer” has received a second patent for his innovative drum gloves. Julian’s Drum Gloves are form-fitting gloves with interchangeable drumstick tips on the four finger extensions, on the palm side of the glove. The glove allows the percussionist to utilize their hands in creating unique rhythms and sound effects not typically made due to the limitations of a traditional drumstick. Julian was represented by Todd Pleiness, an intellectual property attorney from Royal Oak, Michigan. This past weekend I finally got to meet Chef Bogdon Vasquaf! What a multi talented man! A real charmer as well... Love a man that can cook don't you? 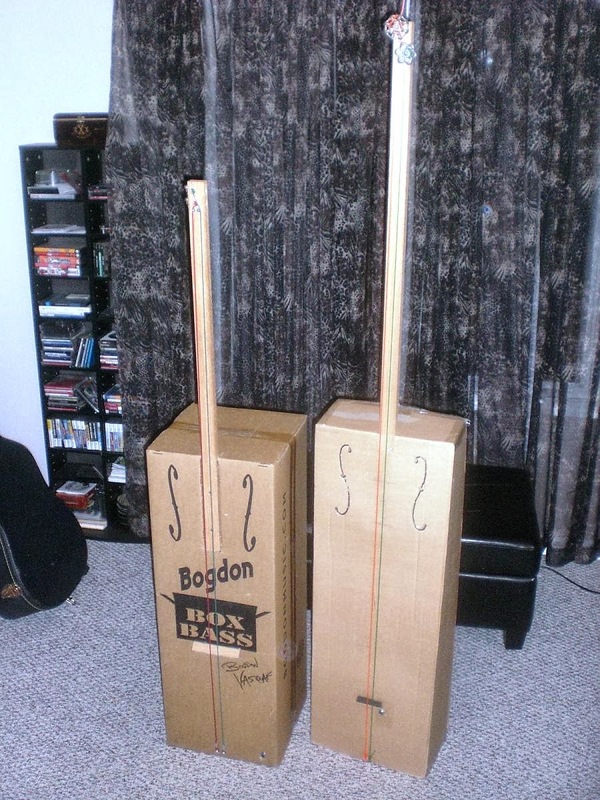 Bogdon is also a fantastic musician and was with the Cadillac Kidz back in the day. We had the great fortune to see Bog play harmonica all night too. 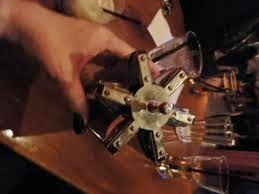 I was fascinated with this 6 Harmonicas on a wheel that he brought with him. 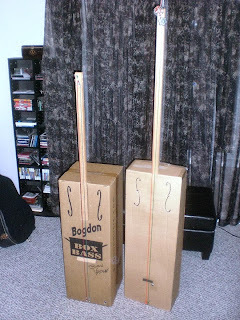 Bogdon's 6 Harmonicas on a wheel... so cool! 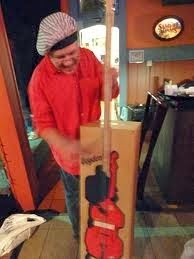 Introducing the World's First Upright Bass made exclusively from cardboard! By demonstrating that a quality sound can be achieved by using unconventional material components at an extremely low cost, a cardboard bass guitar places the least demand on resource technology and encourages people to shift their preconceptions about the 'typical novice instrument'. ODIN SARIC 7 YEAR OLD SK8 BOARDER!!! !